As with most Lush products, this smelt so good that I wasn't sure if I should apply it to my face or spoon it into my mouth. Luckily I chose the former and have had a few relaxing evenings watching Youtube whilst wearing this festive face mask. I defy you to set foot in Lush and leave without a bath bomb. I don't even have a working bath but I still had to get one. I'm now counting down the days until I get back to the bath at my parents' house to test out this sweet smelling bath bomb. I suffer from acne so I'm always on the look out for products that will help me manage my problem skin. 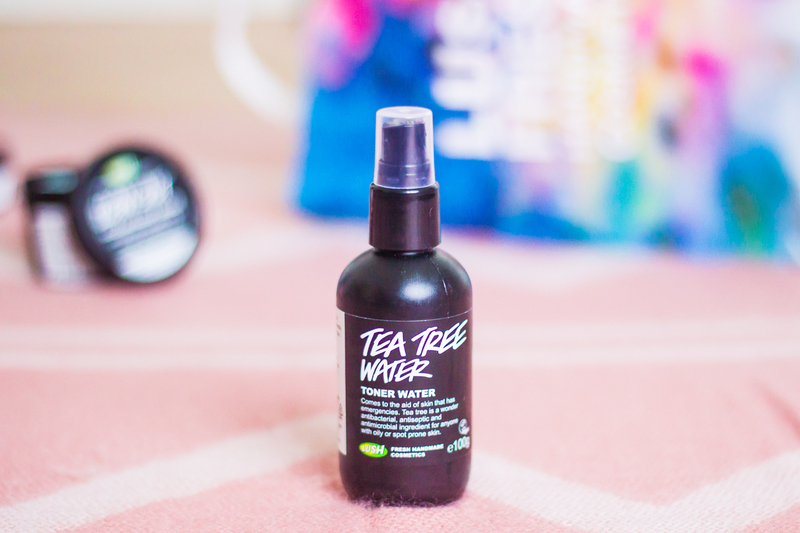 This tea tree water caught my eye, since tea tree is a well known as acne fighter. Plus, I needed a new toner. First impressions? It smells lovely, and not overwhelmingly of tea tree oil. I haven't noticed a huge change in my skin condition but it's refreshing to spritz the product over the face before applying a spot cream. I'll keep on spritzing until it runs out, and hopefully it will help my skin with long term use. 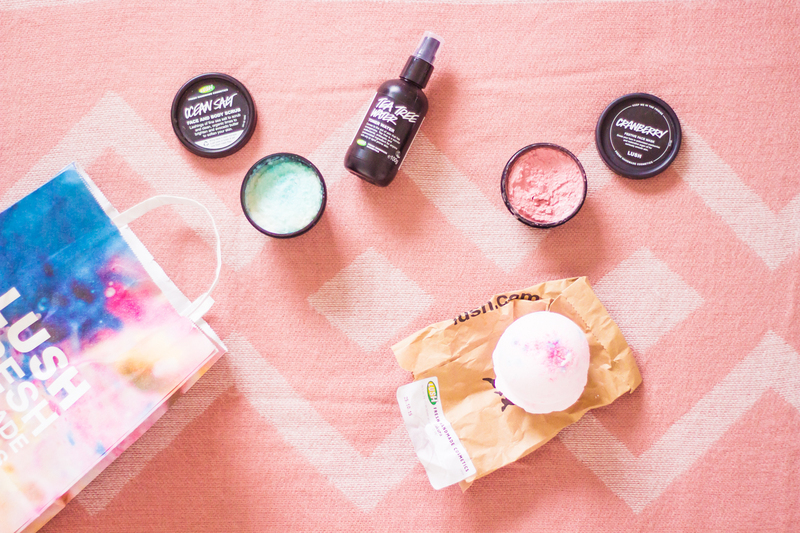 Where Lush products are concerned, most of their magic is in the ritual of using them. 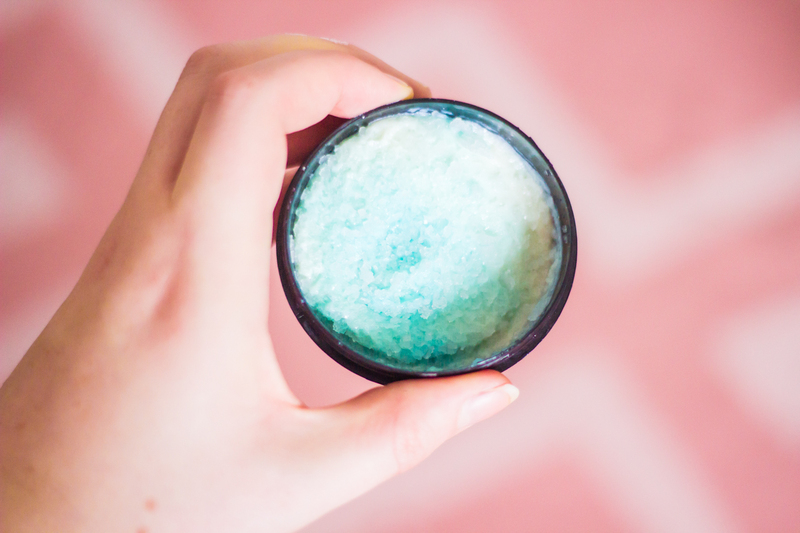 It's no different with the Ocean Salt Face and Body Scrub, I loved the process of rubbing it onto my skin. That's not to say that it didn't work. Stepping out of the shower my skin felt much softer than usual, having scrubbed away any dead skin. So there you have it, my first Lush haul. Have you tried any of these products or do you have a favourite I haven't mentioned here? Let me know in the comments!